TME's offer has been expanded by a new group of items from KRAFTBERG including fittings for ropes. 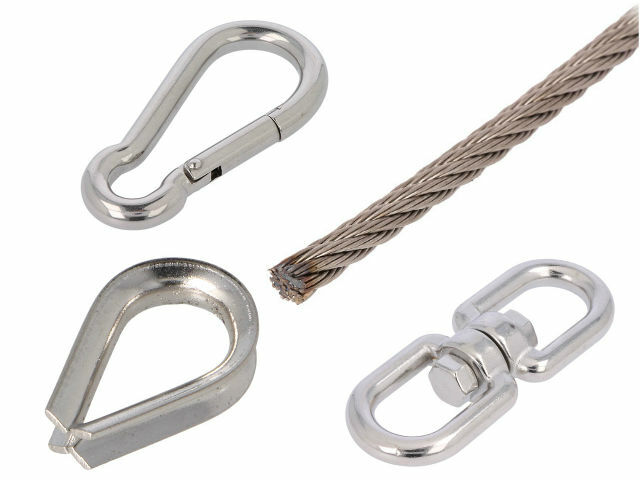 The latest line of products includes snap hooks in the sizes of 4 to 10 mm, swivels, wire rope clamps, ferrules, turnbuckles, simplex and duplex rope grips, as well as dee shackles and thimbles for ropes. The offer has been supplemented by ropes in three plexus sizes: 1x19, 7x7 and 7x19. Apart from copper ferrules, KRAFTBERG fittings are made of acid resistant A4 steel, which ensures high quality and durability. Check the full offer of new line of products.